Israel is seeking opportunities to export its technology, and China, with its abundant capital and hunger for innovative technology, has become a prime choice for setting up partnerships, Shanghai-based China Business News reports citing Israeli investment consultants. "From the views of enterprises, compared with Europe and the United States, we prefer to collaborate with Asian nations, particularly China, given the good historic and cultural relations between Israel and China," said Uri Kushnir, a managing partner at Israeli technology transfer company 31 Degrees North Innovation Exchange. Kushnir and his partner Guy Pross arrived in China in late May and signed a strategic partnership agreement in Shanghai with Gao Feng Advisory Company, a China-based international consultancy firm. 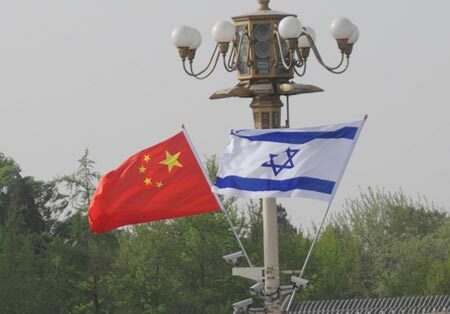 Israel and the United States have maintained close ties, but the Israeli government began developing an interest in Chinese firms and the Chinese market in recent years. China is expected to surpass the United States as the largest overseas participant in the Israeli government's development projects in the next two years, said Avi Luvton, executive director of the Asia Pacific Department at the Israeli Industry Center for Research and Development. According to Israeli government statistics, technology transfer deals made by companies of the two countries were estimated to have reached US$300 million in 2014, up from US$50 million in 2013. The two countries have differences, however, including their motivation in pursuing technological innovation, Kushnir said. Israel's pursuit of innovation has been driven mainly by its limited resources and the pressure on the country for survival. China is a large country with abundant resources and a massive market that has pursued innovation because of its desire for success and the need to improve its people's livelihood, Kushnir said. With Chinese enterprises pursuing globalization, Israel's globalization and its innovative ideas may help provide inspiration to China, said Bill Russo, managing director at Gao Feng Advisory Company. In addition, Israel's advanced technology transfer will help Chinese companies to increase the sale of high-technology products abroad, Russo said. After years of losing out to foreign brands, China’s automakers are winning in the world’s hottest SUV market by employing a tried-and-tested strategy: offering them cheap. By flooding the market with comparable models at lower prices, Chinese automakers accounted for eight of the 10 bestselling sport utility vehicles in the first quarter, crowding out global nameplates like Toyota Motor Corp.’s RAV4 and Honda Motor Co.’s CR-V.
Chinese-branded SUV sales more than doubled in the first quarter to overtake foreign nameplates in the segment this year, accounting for 56 percent of all deliveries, according to data from the China Association of Automobile Manufacturers. At the Shanghai auto show next week, Honda will unveil a full-sized SUV concept that will compete for attention with local offerings like BYD Co.’s new Song and Yuan SUVs. Almost half of the new and refreshed passenger vehicles slated for debut this year in China are SUVs, with about three-quarters of them from local automakers, according to estimates by Bloomberg Intelligence. Global automakers are competing against names little known outside China: Anhui Jianghuai Automobile Co.’s Ruifeng S3, BAIC Motor Corp.’s Huansu and Chongqing Changan Automobile Co.’s CS35 all rank in the top 10 by sales. Great Wall Motor Co.’s H6, the most popular SUV in China, costs about half the price of Volkswagen AG’s Tiguan. The average price of the bestselling Chinese SUVs in the first quarter was was 82,900 yuan ($13,380), versus 167,300 yuan for the foreign makes, according to dealership quotations compiled by Autohome, a car-pricing website. The addition of new models is being accompanied by a surge in production. Annual output of SUVs in China is estimated to reach more than 7.04 million units in 2018, up from 4.32 million last year, according to researcher IHS Automotive. The SUV success represents a rare win for China’s automakers, which have struggled despite heavy government intervention. Foreign companies are required to set up joint ventures with local carmakers to operate in the country, sharing profits and technology. Utility vehicle sales accounted for 24 percent of the total passenger-vehicle market in the first quarter. Local carmakers have been fast to catch the shift in consumer preference from traditional sedans to more spacious crossovers, and fill the gap in the market for lower-priced alternatives. Gao Feng’s Managing Director and Auto Practice leader Bill Russo will chair a panel discussion titled The Next Golden Age of China Auto Industry at 11:15am on Wednesday, June 3. 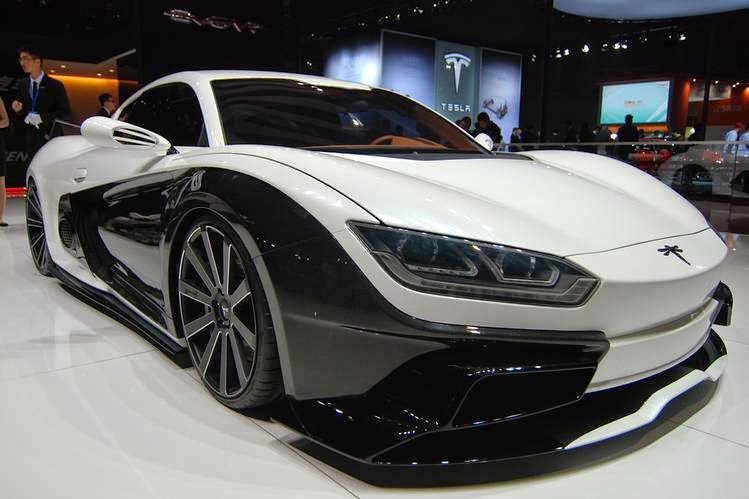 A Chinese company’s new electric sports car is aimed at the luxury end of the market, currently dominated by European brands. The WSJ's Colum Murphy reports. BEIJING—In a quiet technology park near the Chinese capital’s airport, a former Beijing Jeep executive is completing a plan to create China’s first homegrown electric sports car. Lu Qun’s idea: design and build a battery-powered sports car that is cheaper than imported European gasoline-engine roadsters. If successful, Mr. Lu’s first car would go into production in late 2016 and challenge similar models from much bigger foreign companies. His CH-Auto Technology Co. has a track record. It has designed gasoline-powered cars for Chinese manufacturers including Zhejiang Geely Holding Group, Jiangling Motors Corp. and a Dongfeng Motor Group. joint venture. British auto maker Aston Martin Lagonda Ltd. also has plans for an electric sports car that it will sell in China and everyone from Tesla Motors Inc. to Toyota Motor Corp. have big plans to expand electric-car sales here. Aston Martin Chief Executive Andy Palmer said he was aware of at least two other companies in addition to CH-Auto looking into similar electric-car projects. Electric cars are enticing because the Chinese government has pledged substantial support for their development to address air pollution produced by conventional-engine vehicles. China also hopes adoption of electric cars will bolster energy security by reducing dependency on imported gasoline. Sales of electric vehicles in China rose to 18,000 units last year, quadruple the number in 2013, according to the China Association of Automobile Manufacturers. But success for electric-car makers in China—including Tesla—remains elusive. Shenzhen-based BYD Co. , backed by renowned investor Warren Buffett, has struggled for years to gain traction. Last year BYD sold around 21,000 pure electric and plug-in hybrid vehicles, according to the company. Tesla sold 32,733 vehicles globally last year. It doesn’t disclose sales figures for China, but for the year, Asia as a whole supplied 15% of Tesla’s sales. Challenges include the high price of most electric vehicles, as well as difficulty in developing infrastructure such as charging stations for a nation as vast as China. Mr. Lu says the solution is to give customers a reason to buy an electric vehicle, which is where sports cars—already high-ticket items popular with wealthy Chinese—come in. Mr. Lu plans to first target the high end of the market with Event, the name of the company’s first battery-powered sports car. Once the brand, with its dragonfly logo, is established, CH-Auto would follow with cheaper electric cars made in greater volumes. This week, CH-Auto displayed three cars, including a high-tech two-seater that it said runs on a 48-kilowatt-hour battery and can go from zero to 100 kilometers an hour in 4.6 seconds. It claims a range of 250 kilometers (155 miles) and can be recharged in six hours using a standard 220-volt power supply. The company didn’t reveal the price, saying only that it will be significantly cheaper than imported sports cars. Industry analysts expect the Event to be priced around 700,000 yuan, or about $115,000. A Maserati Gran Turismo sports car, by comparison, costs 1.95 million yuan in China. Industry watchers say the odds for success are still long, especially for lesser known companies like CH-Auto, which face costly investment in manufacturing facilities and difficulties in creating a brand. “I don’t think it’s crazy, but the road ahead is fraught with potential pitfalls,” Mr. Palmer said of his potential competitors, which don’t have Aston Martin’s100-plus-year track record. CH-Auto said it recognizes the challenges but is confident its vision is sound and it can adequately address any obstacles that may arise. Mr. Lu has selected Suzhou, in eastern China, for CH-Auto’s production base, and hopes to begin building a factory there this year. The company declined to say how much it is investing. Eventually, CH-Auto hopes to produce as many as half a million vehicles a year, if it is successful in expanding into mass-market passenger cars, he said. To finance production of its first vehicle, the company this summer plans to sell shares in the company on Beijing’s over-the-counter stock exchange that is designed for growth enterprises. Mr. Lu said CH-Auto plans to go it alone, but he didn’t rule out partnerships with other companies. Mr. Lu, who was chief production engineer of the Jeep Cherokee in China until 2003, says his dream is for the Event to become as famous as Chinese smartphone maker Xiaomi, online retailer Alibaba and drone maker DJI, and help China graduate from low-cost car-making to true automotive innovation. That is a tall order. China’s giant Internet and technology brands have succeeded by the business-model innovations brought to consumers, said Bill Russo, managing director of consulting firm Gao Feng Advisory. 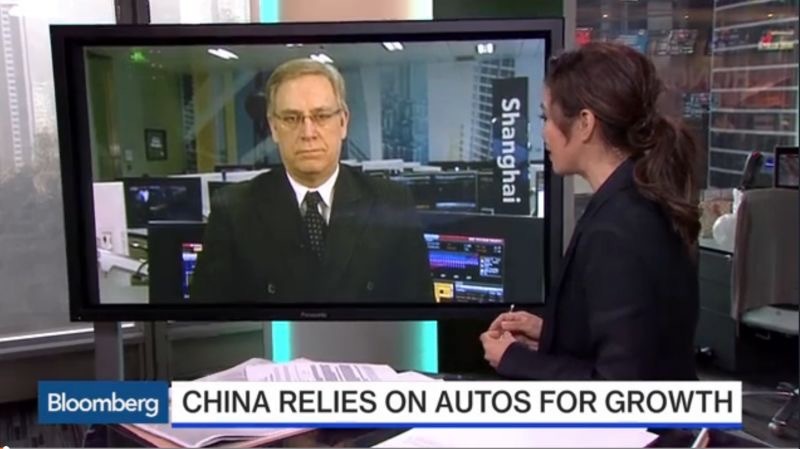 But Mr. Russo said CH-Auto takes a different approach than China’s internet companies. “Their approach is innovation driven by product and technology. It’s not business-model innovation,” he said. “They probably can make a cool sports car and sell a few hundred, or even a few thousand. But can they do what Tesla does? That is a bit of a stretch” for a small, little-known company like CH-Auto, said Mr. Russo. “When a technology is disruptive, newcomers have an edge on existing players,” said Oded Shenkar of the Fisher College of Business at Ohio State University. In addition, he said, the Chinese government is eager to nurture national electric car champions by offering assistance ranging from tax breaks to export rebates and preferential status for government procurements. But for CH-Auto to benefit from such support, it will have to show first that it is viable as there are multiple contenders for such assistance, Mr. Shenkar added. —Rose Yu and Lilian Lin contributed to this article. 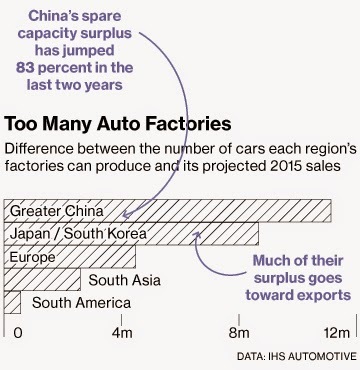 Too Many Car Factories in China? When consultant Bill Russo visited Chery Automobile’s headquarters in China’s eastern Anhui province about three years ago, he listened to the company’s plans to expand its factories to make as many as 1 million vehicles a year. But demand didn’t grow as planned. So Chery today has the capacity to make 900,000 vehicles annually—twice the number of cars it sold last year. Sales have slumped by one-third since their peak in 2010. “Chery is a classic case” of overcapacity, says Russo, a former Chrysler executive who’s now a Shanghai-based managing director at consultant Gao Feng Advisory. “The pressure is that once they receive the permission [from government authorities] to build, they feel like they have to build.” Chery didn’t respond to requests for comment about its sales falling short of planned capacity. Domestic and foreign-based carmakers are building more factories in China than anywhere else, a construction binge that risks hurting margins in what remains one of the world’s most profitable vehicle markets. 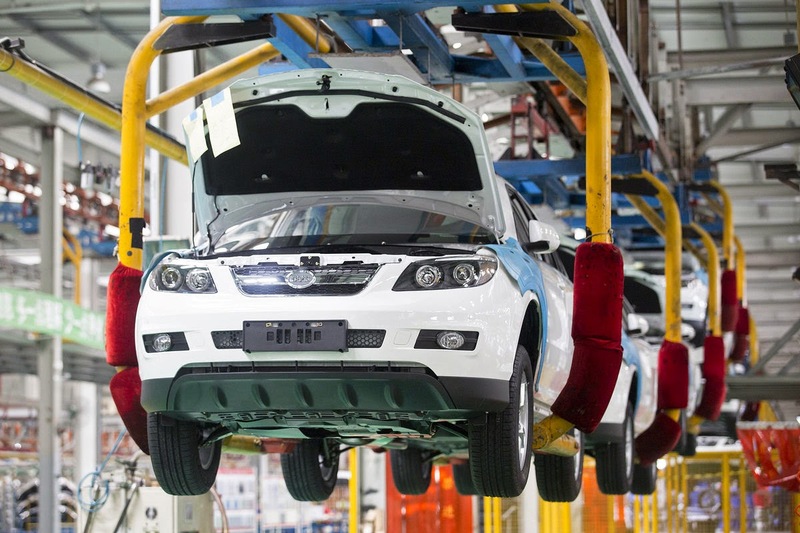 By 2017 there will be 140 car production plants in China, vs. 123 at the end of 2014, estimates JSC Automotive Consulting. According to IHS Automotive forecasts, factories across the mainland in 2015 will be able to build 10.8 million more vehicles than will be sold in Greater China. In North America, however, IHS expects plants to churn out about 3.2 million more cars this year than the factories were intended to produce when they were built. Overcapacity is only expected to get worse for Chinese carmakers. China will have about 11.4 million vehicles’ worth of idle capacity by 2017, more than double that of European automakers, according to data from JSC and Deloitte Consulting. Plans for most of the factory space built in China in the past few years were put in motion during the global recession, when China proved to be a godsend while General Motors and Chrysler were being bailed out by the U.S. taxpayer and Europe’s auto sales seemed in free fall. The trouble is, too many carmakers sought the same refuge. For now, the China car market remains profitable. Chinese automakers accounted for 7 of the 10 carmakers with the highest profit margins in the world, with BMW’s Chinese partner, Brilliance China Automotive Holdings, topping the ranks at 8.2 percent in the past year, according to data compiled by Bloomberg Intelligence. Toyota Motor’s margin was 7.6 percent. Hyundai Motor and Volkswagen’s Audi count China as their largest market, with Subaru maker Fuji Heavy Industries standing out as the only car manufacturer among the 10 most profitable that doesn’t have a factory in China. Foreign carmakers have been among the most enthusiastic factory builders in China, with Hyundai, Renault, and Fiat Chrysler Automobiles’ Jeep among those that have announced plans or are already building in China. GM will soon sell Buicks made at a plant that opened last month, with plans to open a Cadillac factory later this year. GM has 22 factories on the mainland. Volkswagen, which is vying with Toyota and GM for the global auto sales crown, has 28 plants in China and will open three more within the next few years. Jochem Heizmann, who heads Volkswagen’s China business, told reporters in November that the automaker has decided to expand its China capacity to more than the previously targeted 4 million autos a year by 2018 because it couldn’t build enough to keep up with demand. In the next few years, however, increased competition amid slowing growth in car sales will result in lower prices, says Yang Yipeng, a Beijing-based analyst at Goldman Sachs’s Chinese affiliate. As the world’s second-largest economy cools, vehicle sales are forecast to expand this year at just half of 2013’s 8 percent growth, to 21.3 million passenger vehicles. General Motors President Dan Ammann said in January that he expects China’s sales expansion to slow over the next few years after being the main engine for the global industry’s growth for 15 years. Volkswagen in November also said the pace of expansion is becoming “more normal” in China. The spare capacity may force carmakers to increase sales incentives, hurting profit margins, Barclays says. “This is a heavy asset industry,” says Song Yang, an analyst at Barclays. 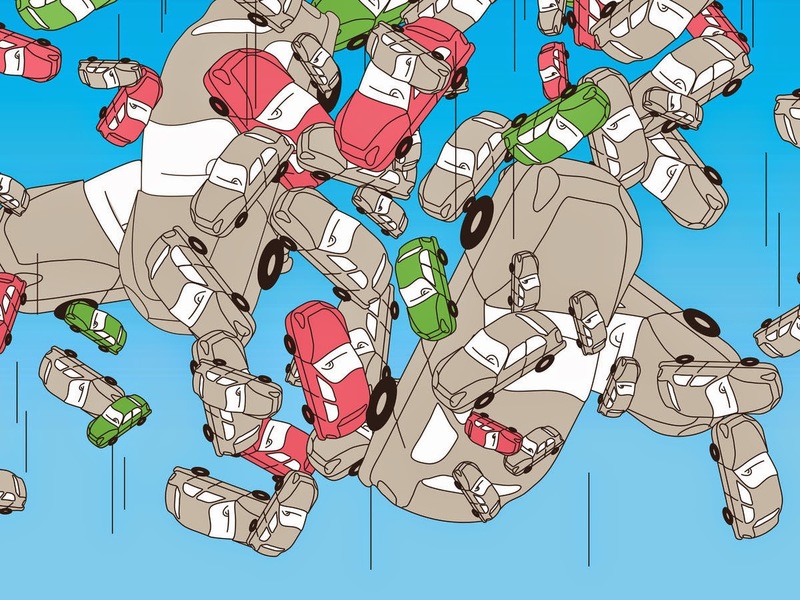 “When utilization trends down, margins will trend down.” Already, car dealerships in China are asking for financial support and lower sales targets from carmakers after a combination of rapid expansion of sales networks and increased restrictions on vehicle ownership by city governments hurt their profits. BMW agreed last month to pay 5.1 billion yuan ($815 million) to its dealers. Toyota will give $200 million to the dealers of one of its joint-venture partners, FAW Group, while Renault, which is building a plant that opens in China next year, said it will give its distributors more rebates. The bottom line: By 2017, plants in China will be able to produce 11.4 million more cars than will be sold there, JSC Automotive forecasts.